Hostas are very easy to grow in hardiness zones 3 through 9. See What's My Zone? to find out what zone you live in. Some hostas are better in southern climates than others, although they tend to be smaller than the same cultivars grown in the northern climates. Fragrant hostas are better in the South because they have H. plantaginea in their genes somewhere. H. plantaginea varieties tolerate the heat better. How long will it take for the hostas I get from you to reach their mature size? The time it takes for a hosta to reach the size listed as its mature size depends on each individual hosta. Smaller and more vigorous hostas can reach mature sizes in 3 to 5 years. 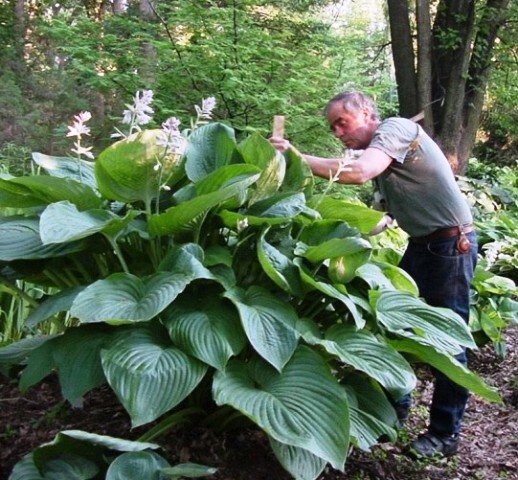 Giant and slower growing hostas can take 5 to 7 years to reach their potential. The quality of your soil and available moisture can also play a big part in this. Read our Hosta Growing Tips for best results. Why did my hosta die? While we may never really know why some hostas decide to die, it is usually because of inadequate care or damage from pests. If a newly planted hosta is not taken care of properly, whether it be lack of water, too much water or even a lawn mower accident, it may die. 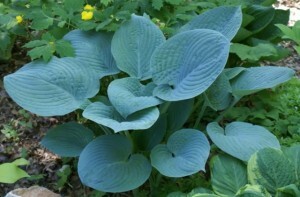 When a hosta does not return from its winter rest, it is usually from pests like mice and voles or extreme freezing and thawing. We have Hosta Growing Tips to help you with these issues. Rest assured the amount of feedback we get about lost hostas is extremely low! How much water do my hostas need? Hostas adapt to their location very well but are used to getting more rainfall per year in their native lands than here in the States. Although even extreme dry periods don't tend to kill the hostas, they do prefer an adequate amount of water during the growing season. We have noticed that after a dry summer, some hostas were smaller the next season. We like to give the hostas a good DEEP watering once a week during the summer if it hasn't rained enough. A general sprinkler set for an hour once a week during dry periods will help the hostas hold up through the growing season and they will grow better the following year. Newly planted hostas should receive this style of watering for the first few months to help them get adjusted to their new home. Why doesn't my hosta look like the photo on your website? Like we stated earlier, it can take up to 5-7 years for some hostas to reach their mature height. It can also take that long for some characteristics to appear. Some blue hostas become bluer as they get older. Heavy corrugation can also take a few years to show up. In general we have noticed that hostas start showing their true characteristics in their 3rd or 4th year. What is the size of your plants? Our plants are grown in five different sized containers. See Chloe, P.J. 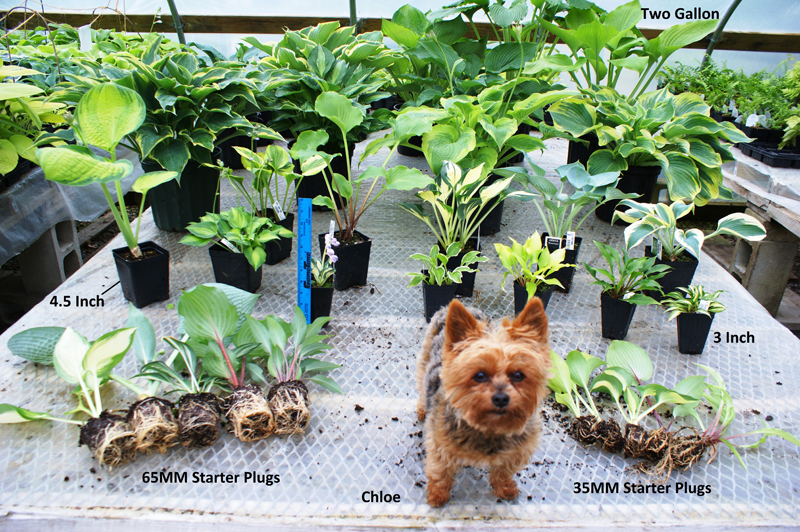 's Yorkshire Terrier at right showcasing our hosta sizes. Click here to see the different sizes we grow. As for how big the individual plants are, well, that's a tad harder to judge. We try our best to ship 2 to 4 eyed plants for most hostas. Some of the slower and larger hostas are 1 eyed. Some plants are more vigorous than others and therefore can be larger. Some hostas are slow growers and therefore smaller. In any case, we do our very best to send you quality plants at reasonable prices.